The University of Southern Maine will celebrate its 138th Commencement Ceremony on Saturday, May 12 beginning at 9 a.m. at the Cross Insurance Arena in Portland, with more than 920 students taking part in the ceremony. Close to 1400 students will be graduating this spring, including 1028 undergraduates, 369 graduate students and Champ the Mascot (otherwise known as Ian Allen, communications major). 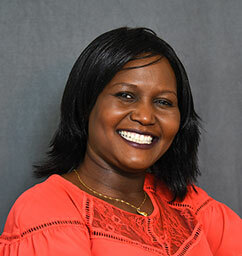 Florence Auma Aliardo will graduate with her bachelor’s degree in social work. She thought her dream to pursue higher education was shattered when she had to flee from South Sudan as a 17-year-old refugee from the civil war there. She landed in Maine, attended Portland High School, and began to pursue her dream of going to college. In spite of knowing 3 or 4 languages, she struggled with learning English and adapting to the culture, “I just kept pushing, kept reading every day, and learning the language and I didn’t give up.” Ultimately attending college as a non-traditional student, the mother of three thanked the faculty at USM for helping her accomplish her goal of a college degree. She would like to pursue a graduate degree at USM, and her ultimate dream is to work for the United Nations to give back to the greater community, saying that is why she chose social work - to help those in need. Ian has been an integral part of USM’s culture, performing as the school’s mascot, "Champ the Husky", for more than four years. He said his experience as Champ opened many doors for him to be involved with people throughout the university and beyond. He hopes to use his experiences to pursue a career in higher education, or with a sports team, working with the PR or marketing departments. He also trains in the martial art of Jukado, and hopes to not only obtain his black belt, but to continue ninja warrior training and audition for American Ninja Warrior 2019. Hana McNally - will graduate with her master’s degree in special education. 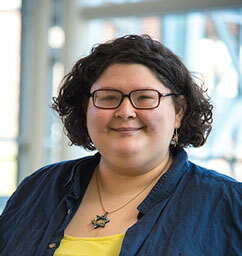 She earned her psychology degree at USM last year and was able to pursue the accelerated pathway for the master’s program in USM’s School of Education while still an undergraduate. She’s already been teaching - working full time in South Portland at Brown Elementary School as a Special Education Ed Tech in a self-contained classroom for students with autism and intellectual disabilities. Her dream is to be a lead special education teacher, and she says the students she works with show love in ways we don’t always think of, saying “they teach me something every day.” In addition to her studies, she’s played on USM’s soccer team for 5 years, including 3 as the team captain. She says she’s learned a lot from her coaches while participating in D3 sport as a student-athlete. 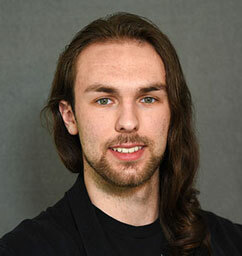 Bryan Waring will graduate with his bachelor’s degree in music performance and composition. His time at USM provided him with some unique experiences. He discovered the University’s “Ci2” creative concept research lab and through it, scored the music for videogames that some of the students were creating. That experience led to his doing an internship in San Diego working with the film scorers who did the music for Straw Dogs, Austin Powers and more, as well as a study abroad program in Scotland. 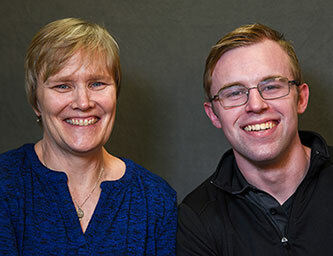 As part of USM’s music composition program, he was able to take part in a unique collaborative theatrical performance art project with the music, theater and art programs called “Molded by the Flow.” He also was involved in the creation of a brand new opera, “The Summer King,” helping its composer, his professor Daniel Sonenberg, in transcribing the music. His plan after USM is to move down to Nashville, attend Belmont University for a master’s of music in commercial media composition and arranging, find a job, and make it in the music industry. 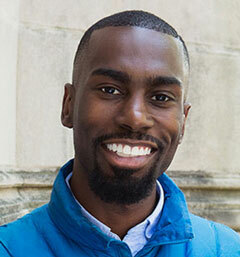 This year’s Commencement ceremony will feature as its speaker national civil rights activist and educator, DeRay Mckesson. A 2007 graduate of Bowdoin College, McKesson has worked for Teach for America in a New York City elementary school, in human resources for the Baltimore City Public Schools and the Minneapolis Public Schools. He has since has become a passionate advocate for civil rights and justice as a leading voice in Black Lives Matter. In 2015 he was named one of the World’s Greatest Leaders by Fortune Magazine, and in 2016, one of the 30 Most Influential People on the Internet by TIME Magazine. That same year, he received an Honorary Doctorate from the New School in New York City. Last year Mckesson launched Pod Save the People, a podcast on culture, social justice and politics. He is now writing a book, On the Other Side of Freedom: The Case for Hope, scheduled for release this fall. 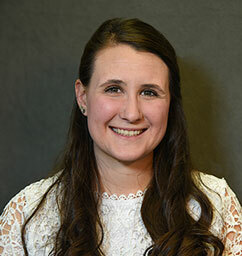 The student speaker for this year’s ceremonies will be Lucy Shulman, who will be graduating with her bachelor’s degree in linguistics. She’s a recipient of the Marilyn Rockefeller College Transitions Scholarship from the Maine Community Foundation and also received US M’s Robert L Woodbury International Scholarship, allowing her to spend the spring semester of her sophomore year studying abroad in London. She also works in USM’s Linguistics Department and in Student Financial Services. Recently accepted to the highly competitive Japan Exchange and Teaching (JET) Program, Lucy will be relocating this July to Japan to begin her career as an ESOL (English for Speakers of Other Languages) educator. 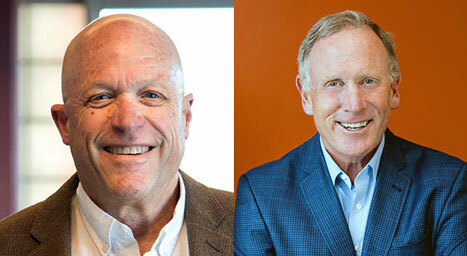 Honorary degrees will be conferred on Cyrus Hagge ’83, ’85G and Corson "Corky" Ellis. Hagge, a well-known philanthropist and Portland real estate developer, is the president and founder of Project Management, Inc., a real estate development and construction management firm based in Portland, Maine. He currently serves as Chair of USM’s Master Planning Committee and Chair of the USM Foundation Board, which he joined in 2010, and has a long history of community service and philanthropic leadership. He and his wife, Patricia ’85, ’06G, established the White Pine Foundation and, in 2012, they created the Hagge Family Scholarship at USM for students majoring in STEM fields. Ellis is the founder and former Chairman of Kepware Technologies. Believing strongly that education is critical to the health of the state and national economy, Ellis has long been deeply involved in statewide efforts to encourage economic growth through a focus on secondary and high school education. He has served as board chair of the Maine Venture Fund, a state-sponsored venture capital organization dedicated to financing and guiding Maine startup companies in their early years. He is also committed to protecting the environment, having served as board chair of the Gulf of Maine Research Institute.